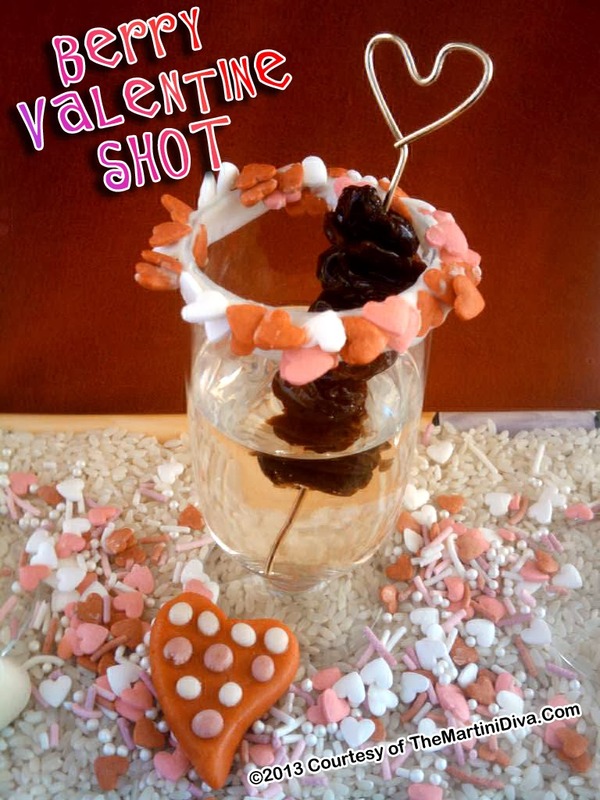 SPICY CHERRY SOUR COCKTAIL to Heat Up Valentine's Day! 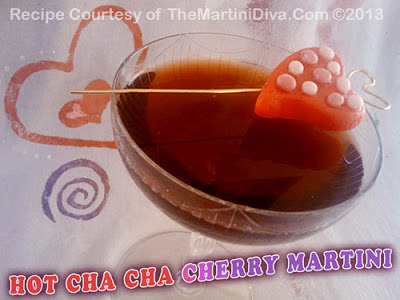 The Hot Cha Cha Cherry Martini is my riff on a Cherry Sour Cocktail, inspired by some great gifts sent to me from Benjamin Twiggs, Purveyors of Fine Cherry Products. 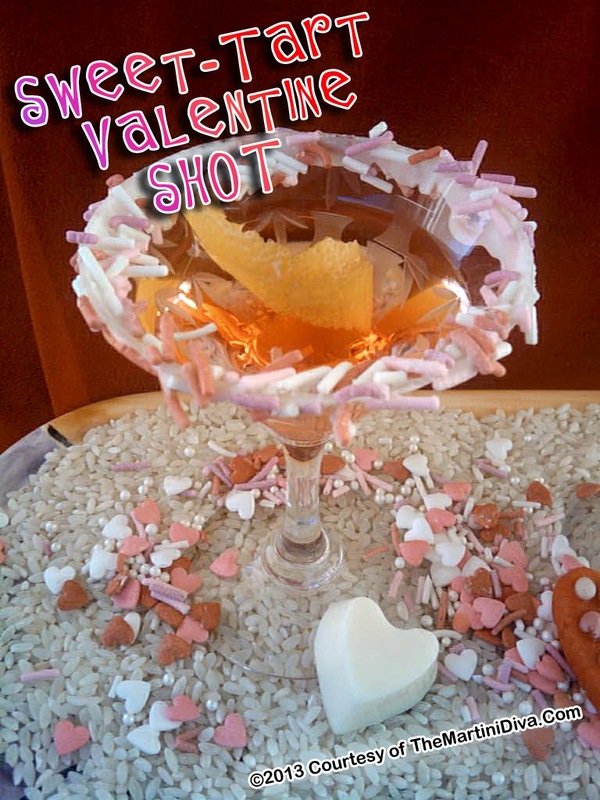 A few weeks ago I was chatting food and cocktails on a Tweetchat when Julie from Benjamin Twiggs and I got to chatting. When she realized I actually created cocktails (and my name wasn't just an indication of what I did for fun), she asked what I might be able to do with some of her company's products. Oh, Julie, you know not what you let yourself in for!!! First of all, as everyone who reads this blog regularly knows, I adore cherries. 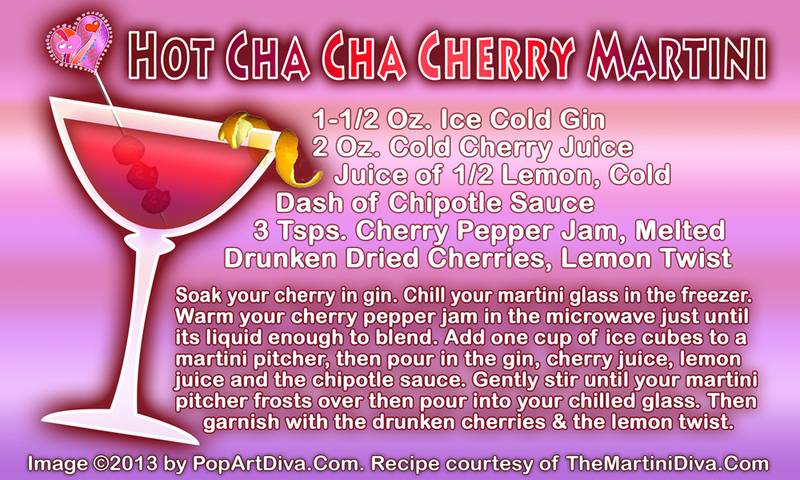 Secondly, I will put cherries in just about anything, including cocktails and savory dishes! 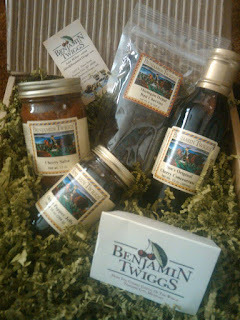 So when the package came and I opened it up and found not only their lovely Cherry Juice Concentrate BUT also a jar of their Cherry Pepper Jelly, some Cherry Salsa and a package of Dried Cherries I sort of went into cherry shock!! I couldn't think what to do first!! Cocktail? Glaze on a Roast? Accent on an h'ors d'oeuvres? 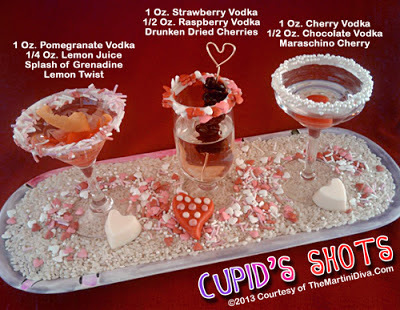 Drunken Cherries??? So I pretty much did them all!! Today I'm posting up the first cocktail I made using the Cherry Concentrate, Cherry Pepper Jelly (as the cocktail sweetener) and the Dried Cherries (soaked in gin for the Drunken Cherry garnish). To these I added some lovely dry Gin, Lemon Juice and some Chipotle Sauce to add a little extra kick to the Cherry Pepper Jam. 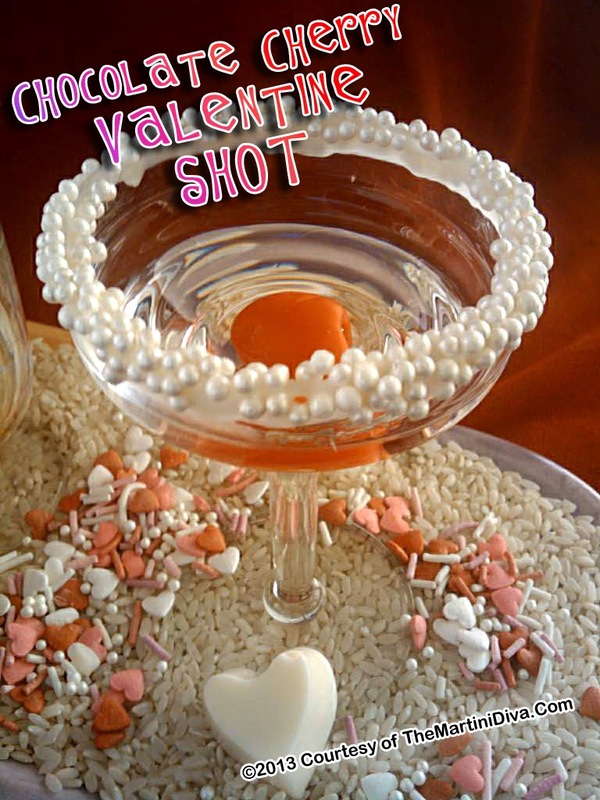 I happened to have a cute Chocolate Valentine Heart I had made and I like chocolate and peppers and cherries so I garnished my own cocktail with this - I ate the Drunken Cherries before I remembered to take the photo, lol.....ah, well, who can blame me? ?